As the holidays roll around, you might be getting anxious about upcoming holiday plans. Whether it be travel related, gathering related, meal related, gift related, or your family is just plain crazy, you are going to need some help getting through this holiday season whether you like it or not. I spoke with 16 other bloggers about what helps them through the holiday season with so much going on and they were willing to share with me their top holiday hacks! 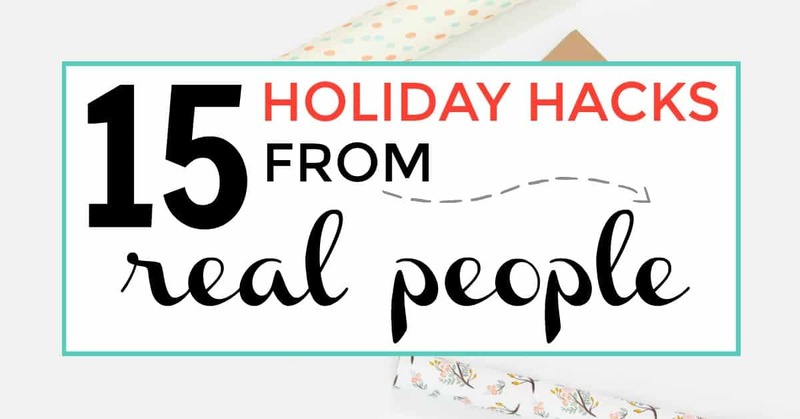 These holiday tips are literally GENIUS. 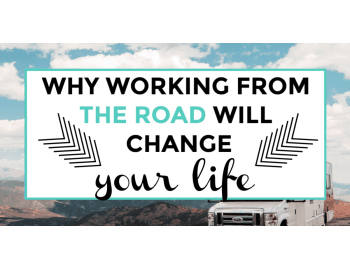 For this post, I sourced from real people (from different blogs and backgrounds) in a blogging Facebook group I am a part of because I didn’t want to take tid-bits from big blogs here and there. I figure most of those articles from big name sites consist of the same stuff we hear every year anyway. Not every one is a housewife, not every one is the same nor are they looking for the same advice. Let’s see what some real people have to say about the holidays! Paula from the FrogPrincePaperie shared with me her 10 appetizer recipes for last minute entertaining. These instant appetizers are to die for. 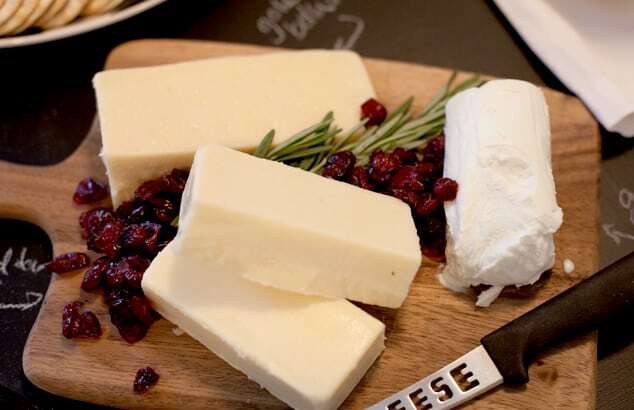 From fruit and veggie spreads to antipasto plates and delicious platters, you are bound to find some great appetizer ideas for when your in laws may be on their way for an impromptu visit. My favorite has got to be the jalapeno cream cheese! Heidi from The Simple Balance Blog shares some genius tips in this post of hers on how to prepare Christmas cookies in the fall! You don’t have to stress yourself out during peak holiday time in December, cranking out cookie and cookie. Instead, follow her super easy steps and prep your Christmas cookies in the fall for an easy baking hack just in time for Christmas. Much like Heidi’s hack above, Angi from the Scneider Peeps has some additional holiday hacks for baking cookies. Her secret is freezing her dough to make delicious Mexican wedding cookies and peanut butter cup cookies (my favorite). I love how she throws in every day practical advice, like letting your 5 year old help out by stirring the dough while you multi task with other items in the kitchen. If you are more of a pie maker during the holidays, Nikki from Tikkido has some great tips for how to freeze homemade pies. The holidays are already stressful enough, don’t add having to make a dozen pies the week of Christmas or Thanksgiving on top of it. Freezing pies doesn’t take away from the quality and the taste of a pie either. It is just an insanely genius holiday tip. Some pies freeze better than others and I love that she includes different freezing advice based on the pie you want to freeze. 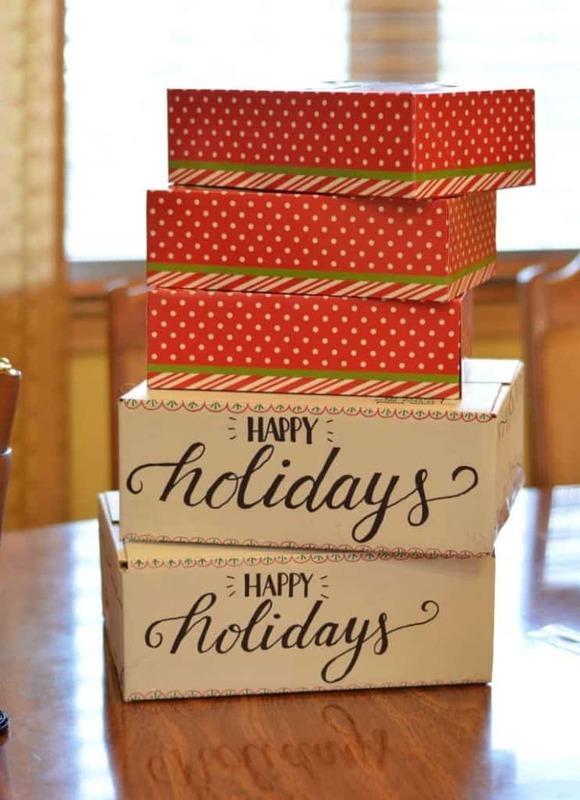 If you love to send cookies out for swap boxes or just to give a thoughtful cookie gift box, you need some surefire ways to make sure they don’t get ruined in the process. Jess from Citrus and Delicious has an amazing post on how to ship and gift cookies like a pro so they aren’t ruined by the time they are at your recipient’s doorstep. These holiday hacks for shipping and gifting cookies are so helpful I think I might use them this holiday season too. Laura from Pockets Full of Wonder has a helpful post that includes 5 tips for saving money this holiday season. These tips are an absolute must for the holidays if you don’t want to end up in a ‘holiday spending hangover’. Have you created your holiday budget yet? If not, you will thank me later. Sign up for my absolutely free budget planner, sent directly to your inbox and get prepared this holiday season. 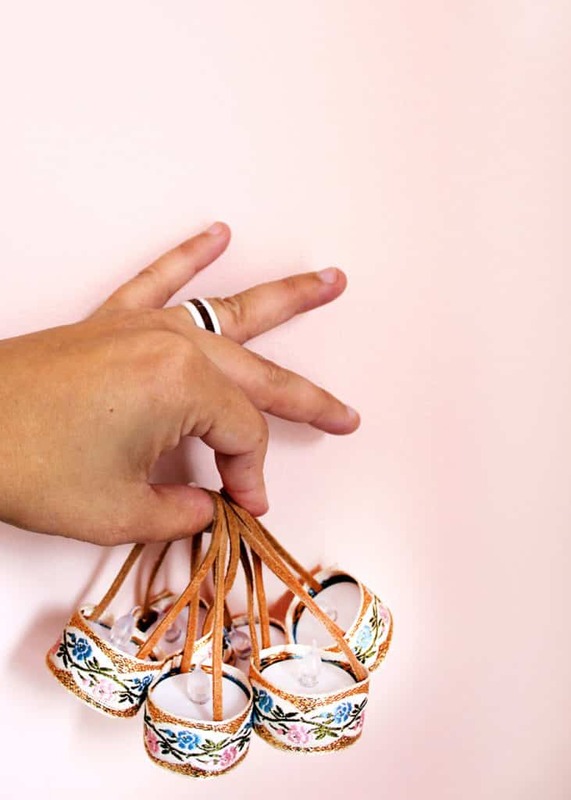 Lisa from the Retro Housewife Goes Green shares some ingenious holiday hacks for how to shop online and not overspend. 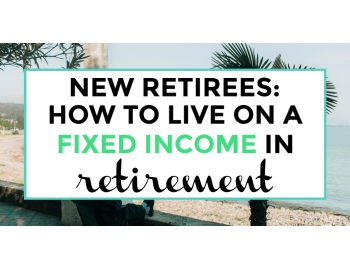 Some of her tips include using cash back apps like Ibotta and Ebates when you shop online for the holidays to save money and earn bonuses. Plus you will get a free recipe book when you visit her site! Lisa from The Stress Free Christmas talks about some great ways to get free gift cards this holiday season. From taking surveys online to snagging rewards, she discusses many different ways to earn free gift cards. Free gift cards can especially help take the edge off of your holiday shopping budget. Some of my favorite ways to earn free gift cards and earn money during the holidays is by using Swagbucks. Get a free $5 bonus when you sign up for Swagbucks using my link. 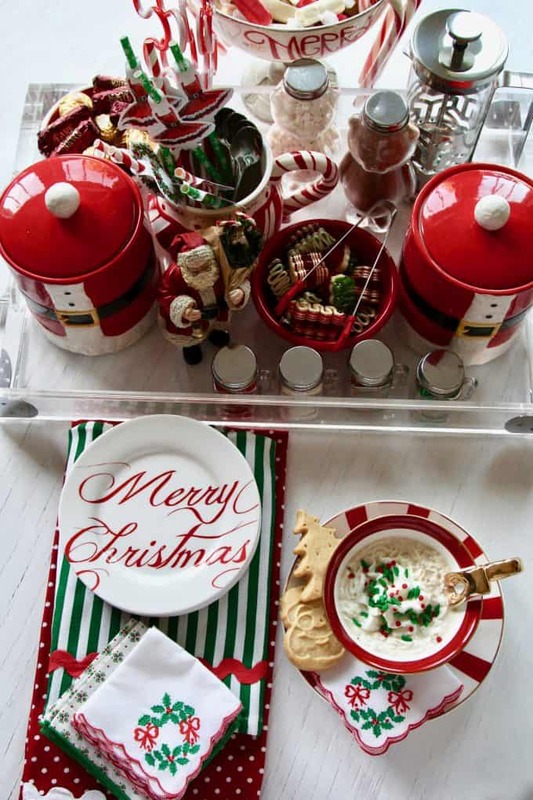 Marci from My Heavenly Recipes has this awesome post about creating a Christmas morning basket. A Christmas morning basket isn’t filled with gifts. Instead it is kind of like a Christmas morning survival kit for the whole family. As Christmas morning can be very hectic, this basket will seriously save your life. For those of you with toddlers, have friends with toddlers or have some toddler nieces and nephews, you will love this toddler gift guide from The Mom Smart Community. Often during the holidays it may seem a heck of a lot easier buying for your adult friends than it is to buy for kids. This gift guide will give you tons of ideas so you don’t lose your sanity over it. I am a sucker for DIY ornaments. I spent 3 weeks one December glittering up and beading ornaments. We still find random glitter and a bead hear and there throughout our house to this day 🙂 . Which is why I love Julia’s post from Tag and Tibby on how to make your own DIY mini tealight ornaments. These are super cute and SO easy to make! How many times have you been stressed with wrapping presents that seems to have…no right way of wrapping them? Yes, me too. 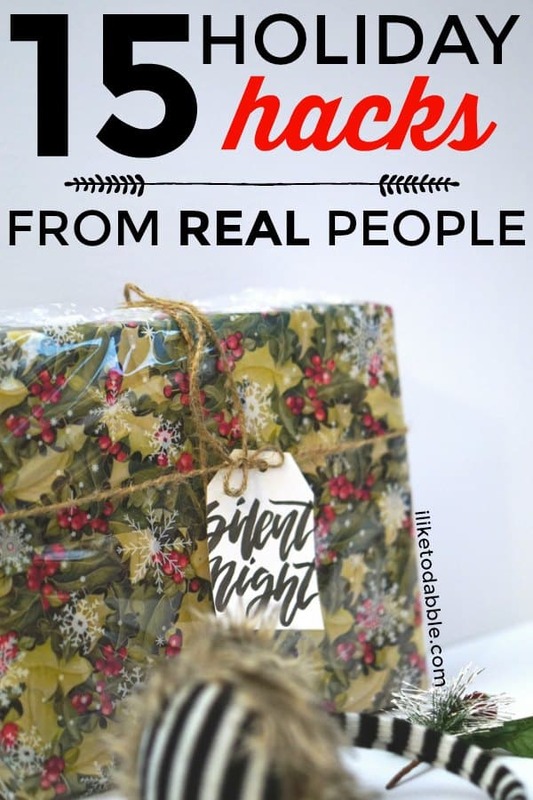 Nadia from Teach Me Mommy has one of the best holiday hacks for wrapping presents with her post on how to wrap odd-shaped gifts. 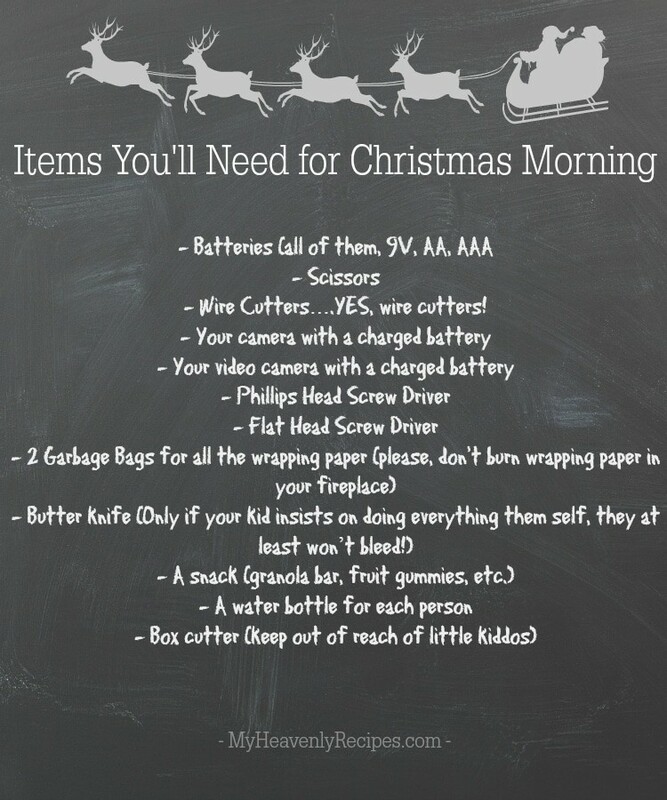 These tips are beyond useful and will keep you from ripping up all your wrapping paper in a rage. Don’t know how to decorate your Christmas tree this year? Check out this post from Down Redbud Drive for how to decorate your Christmas tree like a pro. She covers everything in this post from garland to ornaments to even branch decor and the presents under the tree! Seriously, go check it out..like now. Lisa from the Delicious Table has a wonderful recipe for the perfect Christmas Coffee Bar. Not only does her Christmas Bar include Coffee, but it also includes tea and hot cocoa along with tons of other delicious goodies. This Christmas bar is perfect for any entertaining you might be doing over the holidays or if you just want to have a little fun with the family. What other holiday hacks have you stumbled across through the years to help keep us all sane this holiday season? We would love to hear from you in the comments below! Inbox Dollars: Inbox Dollars will pay you to read emails, take surveys, play games, complete offers and much more. You basically get paid to play around on your phone to pass the time when you are bored. Did I mention they pay you an additional $5 just for signing up? Click here to read our full review of the app. Anytime and glad you like it!